Co-founder Barton is returning to the CEO post to lead the transformation of the Seattle-based company, which employs 1,900 at its downtown headquarters. Zillow Group, the Seattle-based housing-search website that’s taken a hit to its stock price as it pursues an ambitious plan to buy homes and originate mortgages, is bringing back its first chief executive officer to lead the transformation. CEO Spencer Rascoff is handing the reins to Executive Chairman Rich Barton, who co-founded the company in 2005. Zillow, whose shares are down 46 percent since June, announced the move along with a quarterly earnings report that shows short-term results below analysts’ expectations. 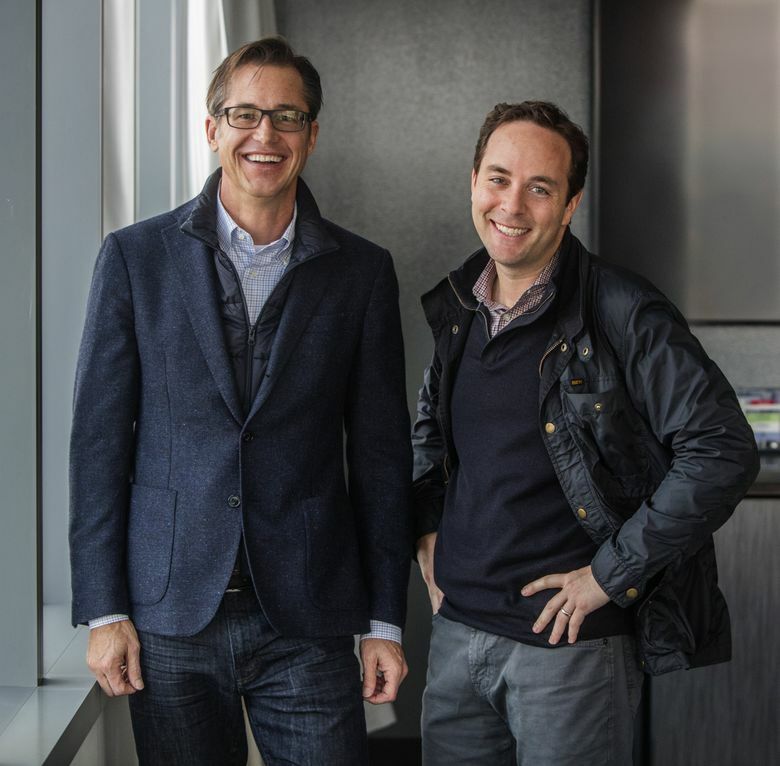 Zillow grew to become one of Seattle’s biggest employers under Rascoff’s watch. The company now has about 4,000 employees across the country, including 1,900 workers at its downtown headquarters, at the Russell Investments Center on 2nd Avenue, up from 200 when Rascoff took over in 2010. A Zillow spokesperson said Thursday’s news should not have any impact on jobs in Seattle. Rascoff and his family actually moved far away from Seattle years ago. He sold his Madison Park home in 2016 – for 40 percent less than the company’s Zestimate algorithm predicted – and moved to a $20 million mansion in Los Angeles. He had been commuting by helicopter at times; in 2016, the company paid nearly a quarter-million dollars for the air commute. Rascoff’s separation agreement with the company includes a $405,000 lump sum payment, which represents six months of his salary. All of his outstanding stock options will also become vested within 18 months, an accelerated timeline. As a member of the board of directors, he will receive another $400,000 worth of stock options. The deal also includes a mutual non-disparagement agreement between him and Zillow. Zillow’s plan would transform the way Americans buy and sell their homes as it has changed the way they shop for them, with mouse clicks on satellite maps. In April, the company announced plans to launch a Big Data-driven spin on flipping homes, using its price-estimating software to buy properties, then making some minor repairs before reselling a few months later. That business, based on the idea that selling a home is a headache that consumers will pay to alleviate, thrust Zillow into competition with a half-dozen other companies, sometimes called iBuyers, including Opendoor, which has raised $1 billion in venture capital. The company has only launched the home-flipping business in seven select markets outside the Pacific Northwest and the company said it has no timeline for launching the business in the Seattle area. Generally, home-flipping in the King County area has declined over the last several years because homes are already so expensive, and most homes are already fixed up, so it’s tough to make a profit off a short-term flip. Zillow was started in 2005 by Barton, Rascoff and Lloyd Frink, who wanted to do for the housing market what their previous company, Bellevue-based Expedia, did for air travel — that is, make it more transparent for consumers. Rascoff took over as CEO in 2010 and led the company through a series of acquisitions, buying Trulia and New York City real-estate portal StreetEasy among others, that made the company a dominant player in online home searches. Barton said that the decision to take control over day-to-day operations evolved over the course of conversations with Rascoff and Frink, who will move from vice chairman to executive chairman, while Rascoff will remain on the board. An average of 186 million unique users visited the company’s websites and mobile apps each month during the third quarter of 2018, roughly triple that of Realtor.com, which averaged about 60 million users during the same period. Historically, Zillow’s main business has been selling advertising to real-estate agents who wanted to put their faces in front of that traffic. Over the last year, Zillow embarked on a new strategy to wring greater profits out of that massive audience. It hasn’t been smooth sailing. In August, the company said that it was taking longer than anticipated to sell the homes it acquires. Three months later, it reported that some advertising customers were pulling their business because they disliked changes to the platform. Shares in the company, which peaked at $65.21 in June, plummeted to a low of $27 in November. Following a conference call with analysts, the stock was up $2.80, about 8 percent, to $37.84. Zillow reported $201 million in adjusted earnings before interest, tax, depreciation and amortization (EBITDA) , for 2018, below a consensus estimate of $205 million. Zillow is expecting an EBITDA loss of as much as $14 million in the first quarter of 2019, it said in a statement, compared with analysts’ estimates of a profit of $41 million. The company expects to return to normalcy in its advertising business during the first half of 2019 as real-estate agents get comfortable with new marketing products. The advertising business could almost double revenue to $2 billion over the next three to five years, Zillow said in the release. Over the same period, executives see the company purchasing 5,000 homes per month through its instant-offers business, generating annual revenue of about $20 billion, and originating more than 3,000 loans a month after the acquisition of a mortgage company last year. Shorter term, the company expects to generate almost three times as much revenue buying and selling homes in the first quarter as it did in the last three months of last year. Seattle Times business reporter Mike Rosenberg contributed to this report.